One of these years I plan on going to BEA. Perhaps in 2016 when the event moves to Chicago? That's a lot closer to this Midwestern gal. 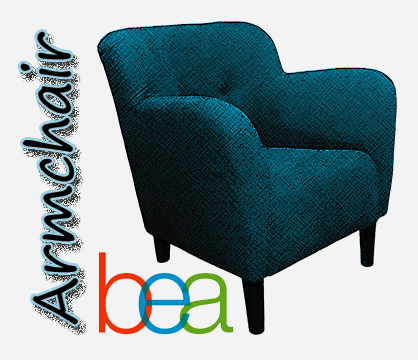 Until that fine day comes about I'm delighted to participate in the Armchair BEA! The organizers of this event are awesome and tireless and I have to say THANKS right off the bat. I'm Jennifer...or Jen, maybe even Jenni if you're a 7th grade classmate of mine. I've been blogging for just under 2 years. I started because no one in my real life wanted to nerd out over books with me. I had to go find my people. 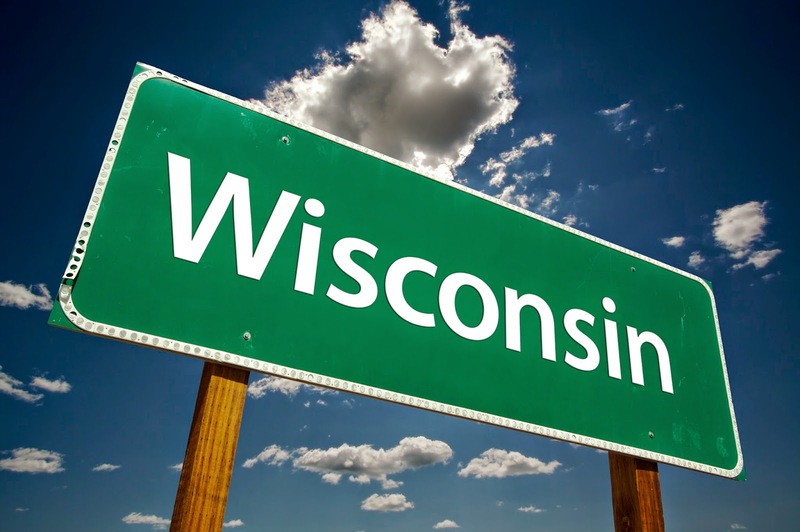 I'm blogging from the glorious state of Wisconsin. I'm way up in the northern part of the state...or "practically Canada" as we call it. Describe my blog in one sentence? It's just another book blog. Ha, no. That's boring. I hope we can hook up at all, or some of, the above places! See you around, fellow Armchair BEAers. Have a fab week! ... and she's back. I always knew you were from Wisconsin, but I'm even more thrilled to hear that you are practically in Canada!! And who knows, maybe i'll see you in Chicago! I've only been to Eau Claire but holy cow everything is such a vivid green up there! Wisconsin is stunning. Eau Claire is a few hours south of me, not really far away at all. It really is very pretty here, I shouldn't take that green for granted! Hi, Jen! I definitely want to visit Wisconsin one of these days. I didn't know BEA was going to be in Chicago in 2016. I'd better be sure to go in 2015, because I doubt I'll splurge on a trip to Chicago! Armchair BEA is definitely easier to get to. But we do have some family in the Chicago area, so you never know...I may see you there too! I was so excited to hear that it was coming to Chicago! That's a long drive, but not nearly as long as a trip to NY would be ;) Hope to see you there! Love your bookish quote, so true! I'd love to see Chicago, but don't know if I'll make it there for BEA. NYC is technically a much easier reach for me, so maybe next year when I've got a little cash tucked away! Isn't that a good one? If it wasn't so long I'd tattoo it across my forehead ;) I'm so jealous of the folks that get to go yearly. One of these days! Hi, Jen! I loved learning a little more about you. For some reason, I didn't have you geographically-placed in my head. Northern Wisconsin is beautiful country! Thanks :D Now you know where I'm at! I really like it here a lot. Ha! Road trip!! :D I think that would be crazy fun! I wish you had reviewed The Walking Dead comics-- my students are always asking for these, but I don't have them in my middle school library. They get them from the public library, but I still wonder about content! Oh, well, I've read enough zombie books to give me nightmares, so I think I'll pass. Enjoy Armchair BEA. Before I started reading them I would have assumed they'd be great for middle school kids. Now I know a bit better, lol. The language and sexual content would make me reconsider. Hells yeah! Cheers to an awesome Armchair BEA, Jennifer. Or Jennifer the Wise and Lovely as I call you behind your back. I really LOVE the look of your blog! So fun! 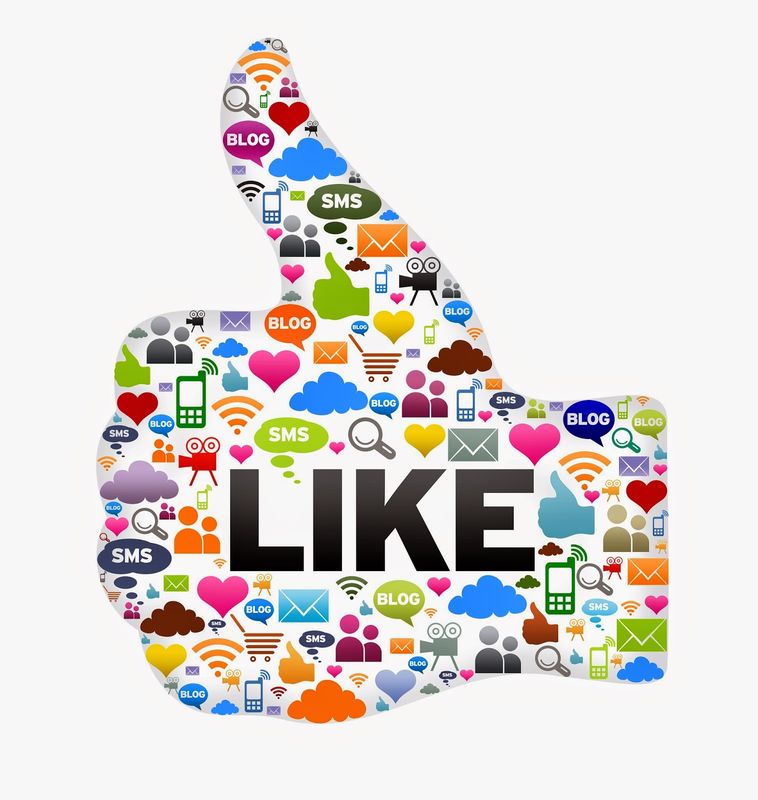 I'm glad to have discovered you and will definitely be following you on Twitter! So psyched about Chicago 2016!!! Right??!!?? I'm so glad the event will be somewhere close! hope to meet you in person in 2016! Ditto!! :D I think Chicago is in for a ruckus, ha ha! Me and you. 2016. BEA. Watch out Chicago. I will probably force feed you deep dish pizza. Prepare yourself. The Midwest RULES! Ahhh! It's going to be the best! I'm already looking forward to the pizza. MMMMM. Hope you can go to BEA in 2016, Jennifer! Thanks :D I hope so too! Any thoughts on zipping over to America, Isi? I wish I could travel to America! Jen- looking forward to hanging out even if the trek to the actual BEA is too far away! Did I ever tell you I spent a summer working at a summer camp in Wisconsin Dells? Yep. I went to the big metropolis of Eau Claire, too :) Hope you have a great Armchair BEA! That quote is amazing! 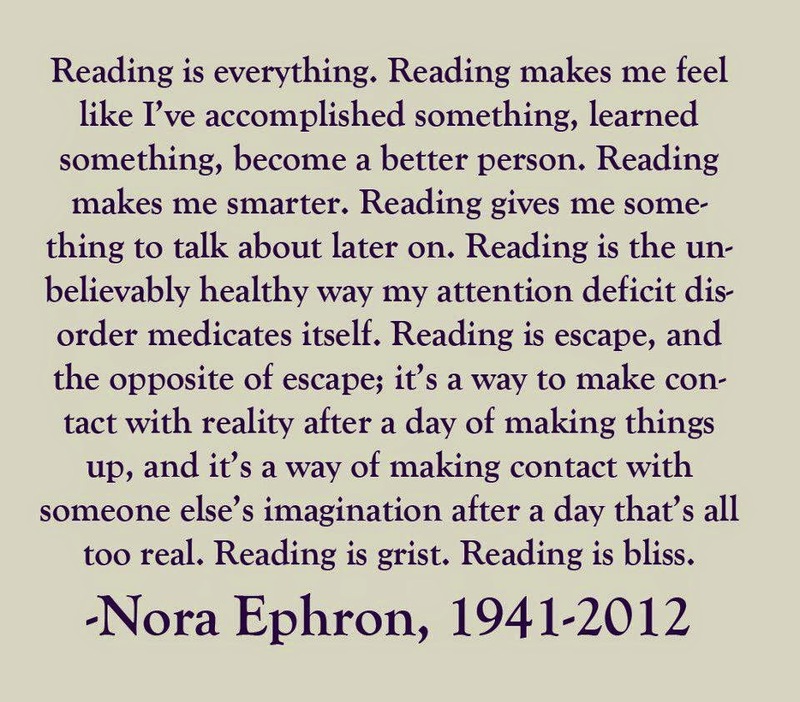 I've never read it before but Nora Ephron gets me, she really gets me! I am so excited to have met you and continuing to get to know you better, Jennifer! Yes, I think you've found your people! Happy to see you here! Enjoy Armchair BEA! I have, and it's been amazing :D I can't believe I was wandering around on my own before, lol! I'm glad that you did :D Ha ha, thanks!! I'm actually in Canada... lol.... nice to meet you Jen. Well hey! Maybe I'll have to zip up and say "hi" one day, lol! Chicago in 2016 is definitely doable. I love that Nora Ephron quote! I had never seen it before. Isn't that quote the best?? It is strange to think that so many of use need to start book blogging because everyone else is sick of hearing us talk about books; how can people ever get sick of talking all things bookish. Happy ArmchairBEA. Happy ABEA to you as well, Michael! Wisconsin is a beautiful state! Other bloggers are my favorite resource too. I learn about so many new books that way. It's wonderful. I've said it before and I'll say it again: This community is the BEST! I'm already thinking about when BEA comes to Chicago. I still don't know if I can swing the entire event, but possibly a one-day pass (which might be all my introvert self can take anyway). I don't know. Maybe. We'll see. This is the one of those events that could lure out my introvert self ;) I have zero idea on how much it all costs...I should probably look into that! I don't think it's anything unreasonable. I'm just really cheap! LOL, I totally understand! So am I. Or at least my husband is, ha ha. Wisconsin sounds absolutely lovely! Toronto really isn't that beautiful. I hope I'll get to meet you at a real BEA one day! Since I started my blog, going to BEA has been number 1 on my bucket list! It's #1 on my bucket list too! Thank goodness we all found one another! LOL, yes, with an i. I thought I was so damn cool. You have found your people! I love the book blogging community more than anything about it so far. Thank goodness :D I can't imagine a better group of people! Thanks for visiting, Danielle. I agree - I had to find my people too! Blogging certainly helped me with that. Jennifer, Jen, Jenni...ha! Love that. I went to BEA when it was in Chicago about, what, 14 years ago? It was a great time. Bill Clinton was the keynote speaker and he blew me away. That man can talk and he certainly knows books. Ohhh! Bill Clinton! How I would LOVE to hear his speak. So cool, Chris!